AAVSO Alert Notice 599 announces an observing campaign on the recurrent nova CI Aql beginning immediately. Please see the notice for details and observing instructions. AAVSO Alert Notice 603 announces that the HST observation of CI Aql has been scheduled for 2017 November 2 (campaign announced in AAVSO Alert Notice 599). Observations are crucial to allow the HST observation to take place. Please see the notice for details and observing instructions. I have started to observe the star. One needs to be careful as there is another brighter star close by by a few arcsec. I measured CI Aql at about 16.5 +/- 0.18 mag with V filter. Data send to AAVSO database. Positive observations of CI Aql must be reported to the AAVSO International Database by 14:45 UT 2017 November 1 (10:45 am EDT) in order for the HST team to make the final decision about allowing the COS observation of CI Aql to take place. Please see AAVSO Alert Notice 604 for details and instructions. Editing my initial message: I was looking at the wrong star (CL AQL instead of CI AQL) which got me confused and made me think for a moment that the star was in outburst. I'm leaving the original message below, but you can discard my false alarm. Sorry for the confusion and for the waste of time. Thanks to everyone for the help. Hi everyone, I'm getting some data on Cl Aql and a quick look at a FIT seems to indicate the star in outburst!!! I have not done the photometry yet and would like to have a confirmation from more experienced observers before alarming people with a positive submission to the database. Anyone could look at my FIT and confirm that Cl Aql is clearly brigther than mag 10? Image taken with a C8 + focal reducer 0.7x. 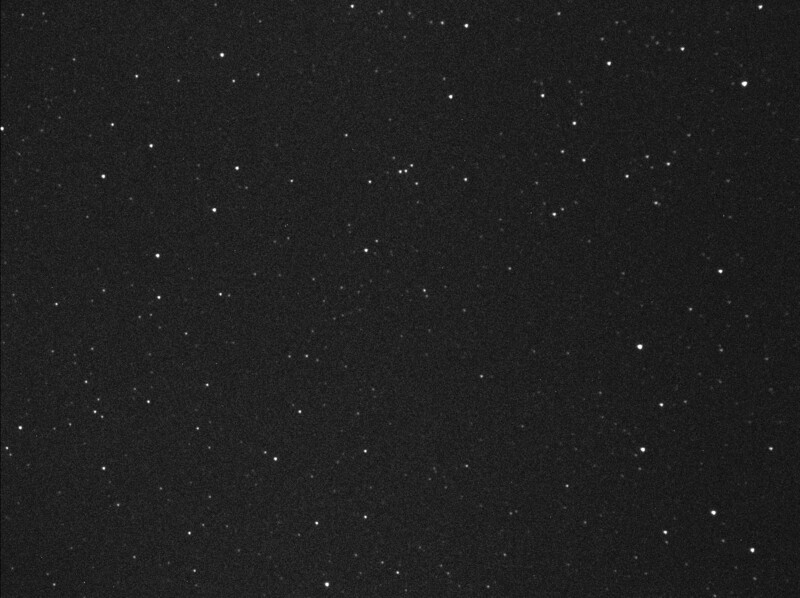 20 seconds with Atik 414ex from heavily light polluted + clouds in Scottsdale. PS: could not attach a fit, so I converted to jpeg. If anyone wants the fits I can e-mail it. Here it is, with North up (and East right). 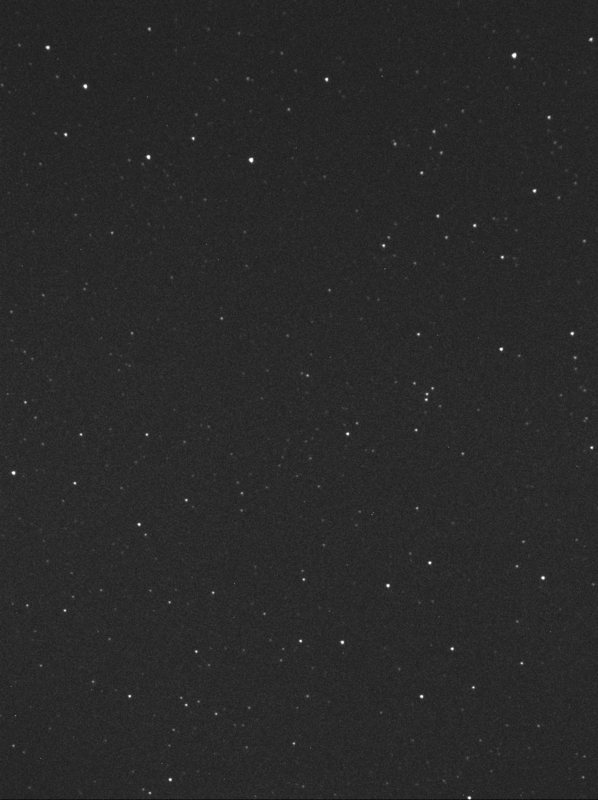 The star which I think is Cl Aql is at position 535,654 in the image. Hope this helps. I've uploaded the files so that anyone who wants to have a look can get access to the raw data. Considering the difference we expect (~4 magnitudes) I don't think that my dirty flats (done with the laptop screen) will be too much of a problem. I'm now confident enough that the star is really in outburst, but I'd feel much better if someone else could confirm my observation. I'd hate to be the guy responsible for cancelling on observation on the HST only to realise it was a mistake!!! For those interested, the field of view with my setup (C8 + 0.7x focal reducer + Atik 414ex) should be ~21'x16' for a sampling of ~0.92" per pixel. Mike, your comment made me realize my mistake. I was looking at Cl Aql instead of CI Aql (upper case I looked just like lower case L). My mistake. Thanks all for your help. just uploaded data to AAVSO database and the star is at mag (16.7+/- 0.2). If weather cooperates will also observe tonight and submit data before the deadline. Last night´s data uploaded to the AAVSO database and no outburst was detected. The stars was at mag 16.2 about.